In the five-minute video below, IRON MAIDEN singer Bruce Dickinson offers a first-hand account to Kerrang! magazine of the harrowing time in 1994 he was invited to play a show in war-torn Sarajevo, the Bosnian capital. 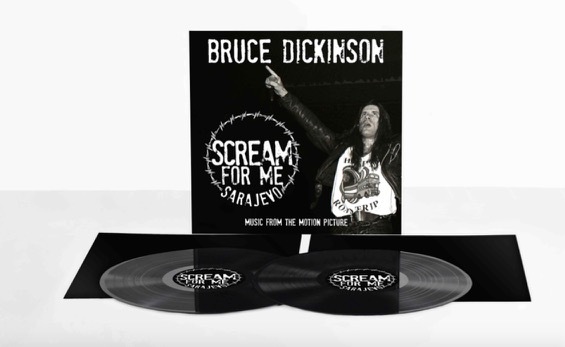 A documentary telling the story of the concert, “Scream For Me Sarajevo”, was released on June 29 on DVD, Blu-ray and digital via Eagle Vision. In addition, the music from the film was made available on CD/double LP via BMG. Comprising music from the film which spans Bruce Dickinson‘s solo career, the album features the rarities “Acoustic Song” (previously only available as a bonus track on the 2001 “Best Of Special Edition”), “Inertia (Live)” (previously only available as a bonus track on the expanded re-release of “Skunkworks” in 2005) and the album closer “Eternal” (previously only available as Japanese bonus tracks on “Tyranny Of Souls”). The first time Dickinson was in Sarajevo, the city was cut off from the world, its citizens brutally terrorized by shooting, bombing and starvation with electricity and water supply being nothing short of a luxury. Bruce and his then-solo band drove through the frontlines and ultimately played a show for the people trapped in the city. 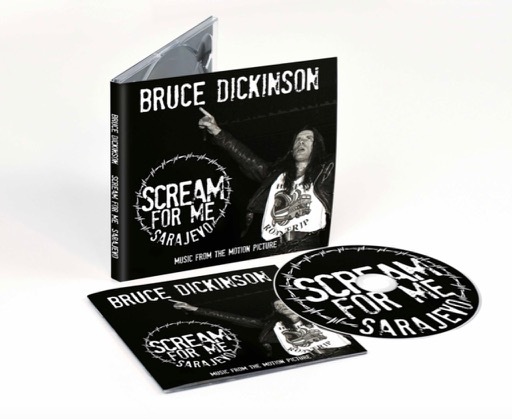 What this gig meant to the people and how it changed Bruce and his band is told in “Scream For Me Sarajevo”. In addition to the feature film, a specially recorded interview with Dickinson will be included as exclusive theatrical-only content in participating theaters.